Our Mission Statement: Building strong, inspired youth and communities through theatre arts. The Very Merry Theatre began as an exciting idea many years ago as summer camps in Charlotte and Burlington and soon after grew into productions at Edmunds Elementary School where Executive Director, Don Wright, had three boys attending. Soon after we began annual productions at Edmunds Middle School and Orchard Elementary School and experienced the exciting creative possibilities of a whole school community working together to support their children's theatrical efforts. 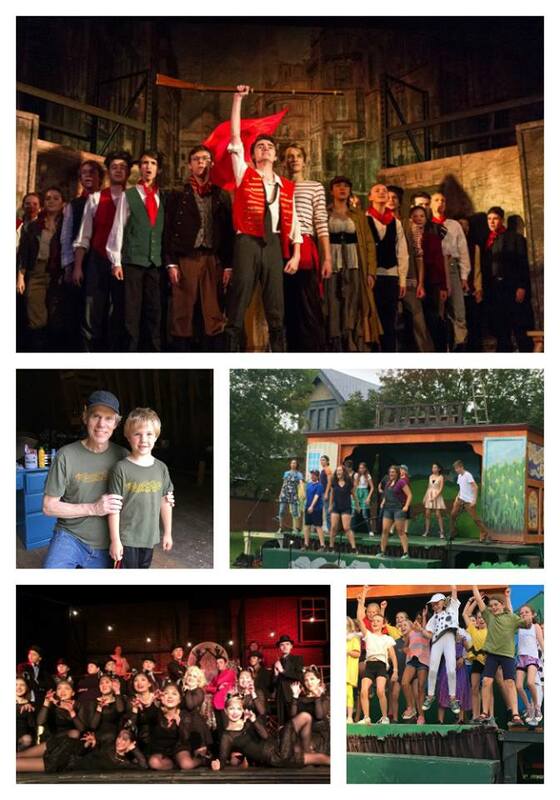 These early original productions served as stepping stones for us to become what we are today: a theater company for children that performs one-of-a-kind plays at schools all over Northwest Vermont, at our own 20 Allen Street studio in Burlington’s Old North End Community Center, and through our Travelling Theater Summer Camps. Our organization has grown over the years and we believe that we are promoting the growth of a vibrant community by providing children of all ages and backgrounds with the opportunity to practice theater. At Very Merry Theatre, we are fostering literary and theater skills, self-confidence, and pride through the work and play that goes into creating theater. We cast without concern for race or ethnicity and often even gender! For most of our productions and camps children are given character groupings from the play and can pick their top three choices. Everyone gets one of these choices and all children eligible by grade for speaking roles get dialogue. The oldest age group in school productions and all children in our camps get the opportunity for a singing solo if they desire one. Our shows are chosen from the classics, mostly, and we adapt a great many ourselves. This allows us to create many meaningful roles rather than just a few starring roles and allows for exploration of the story through themes, ideas, relationships, genres, etc. The Very Merry Theatre is a dynamic organization that provides children from the ages of five to eighteen with the opportunity to produce and perform original plays through their schools. We work consistently with seven Burlington schools, one in So. Burlington and one in Westford. Through the Vermont Arts Council grants we have the capacity to work with elementary and middle schools all over Northwestern Vermont. Students of all levels of experience are encouraged to participate in any way they choose, which can include acting, set design, or helping with makeup and costumes. Our 20 Allen Street performing arts center is another way to get involved with Very Merry Theatre. This busy center of activity plays the provides four seasons of productions for all age groups as well as cabarets, open mics, drama clubs, home schooler specials and vacation camps. Located in the Old North End of Burlington, 20 Allen represents the home of our diverse and constantly expanding community. We encourage all children to participate in any programs that we may offer at 333, regardless of financial background. Our generous sponsors and donors allow us to provide monetary support to any child who is interested in being involved. In the summer, the Very Merry Theatre hits the road. Our Travelling Theatre Wagon, based in Charlotte, serves as our stage and inspiration while we host summer camps and collaborate to write original plays. In addition, we provide camps at 20 Allen Street and at the Vergennes Opera House. Overall we provide 16 plus camps with a variety of fun show titles. Our incredible teen counselors work with our adult directors to provide a unique fun experience in the performing arts. Very Merry Theatre has come a long way since 1997 and is constantly evolving. Year after year, more children than before participate in our school productions, 20 Allen Street programs and summer activities. As we continue to grow, we look forward to working with new schools and new students and welcoming you into our wonderful community!